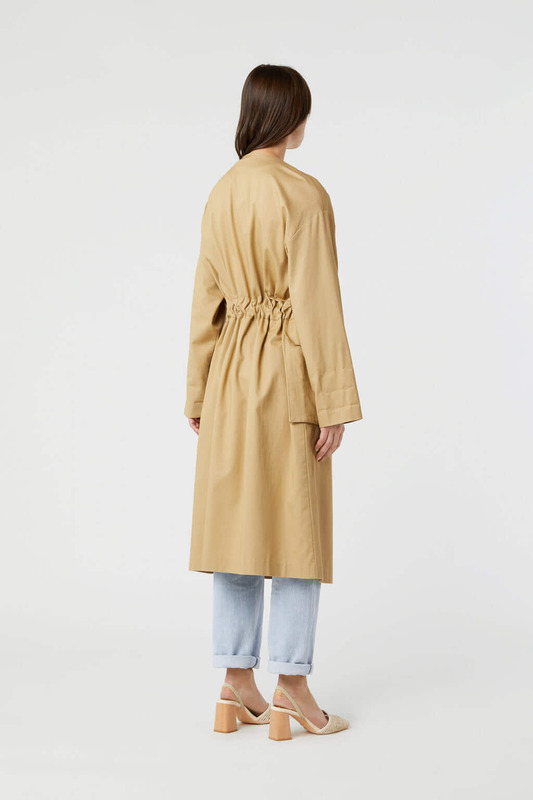 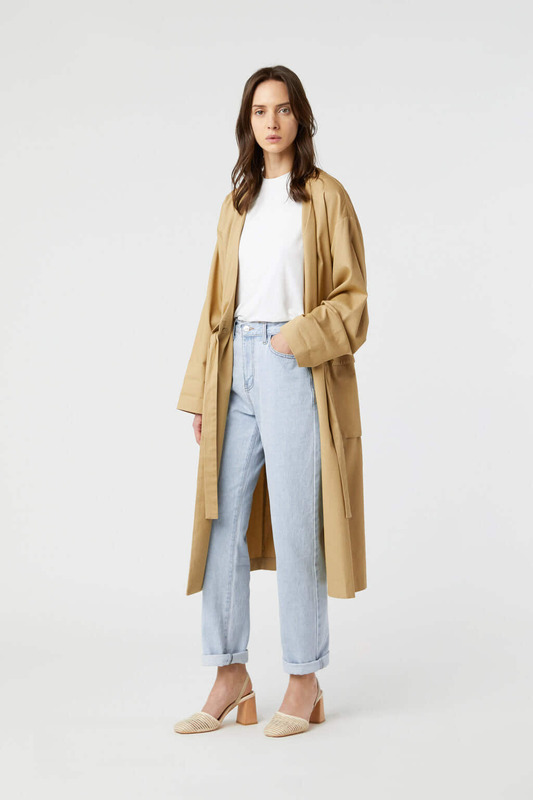 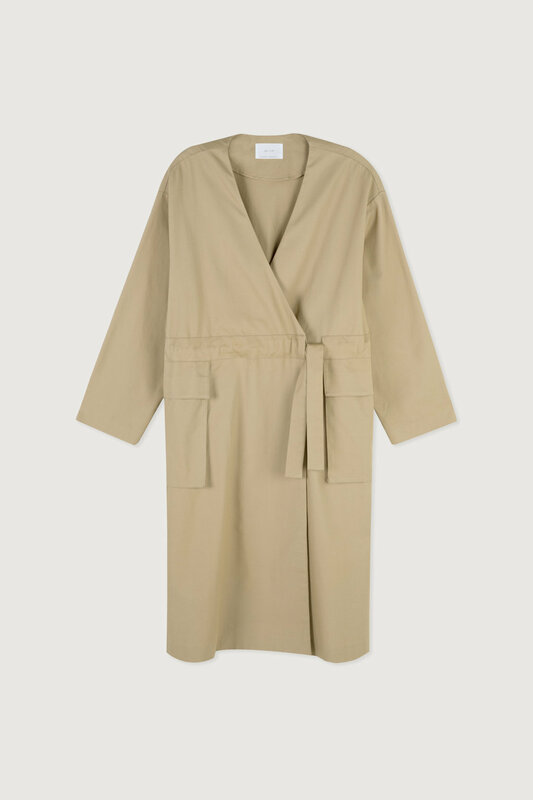 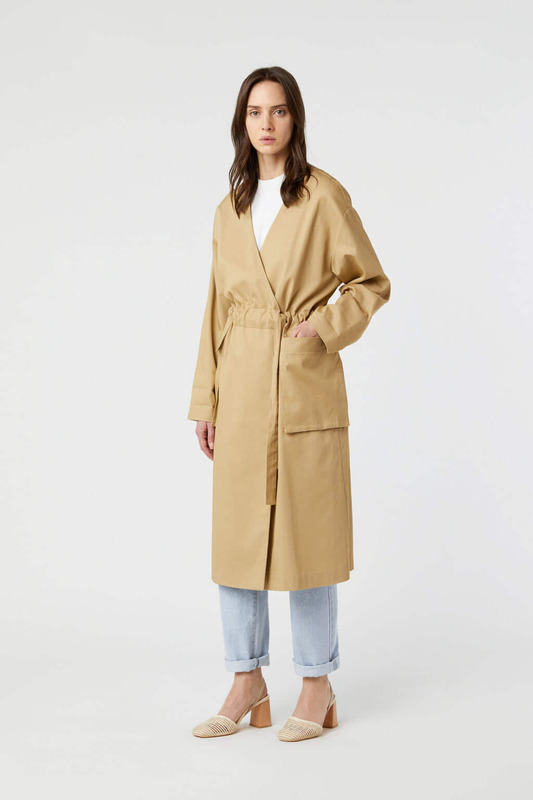 Cut from a smooth cotton blend, this midweight collarless coat features a relaxed fit, a wrap-effect design, wide sleeves and dropped shoulders. 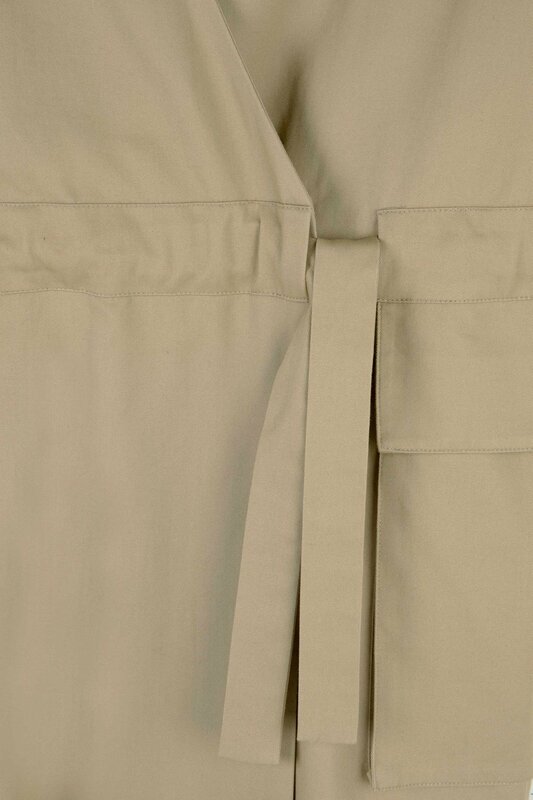 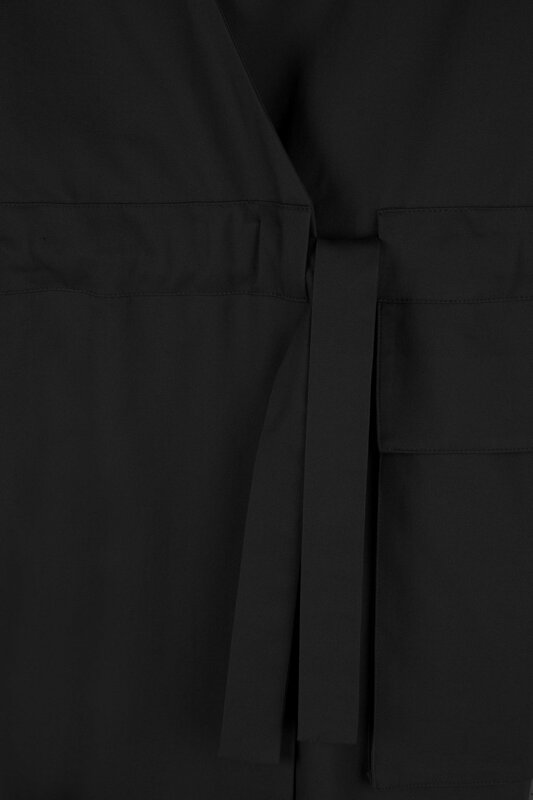 Detailed with large flap pockets, snap button closures and drawstring self-ties to balance the oversized silhouette. A transitional style to wear throughout the seasons, try styling this piece over a floral dress or with a basic tee and jeans for a more casual take. 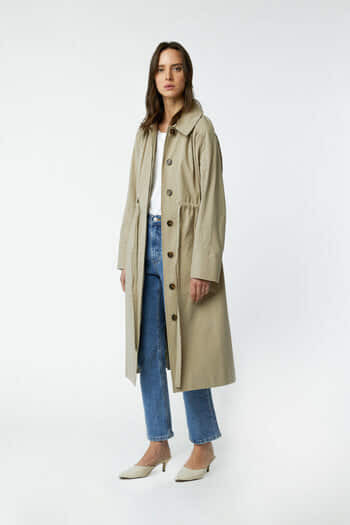 Our stylist suggests sizing down.